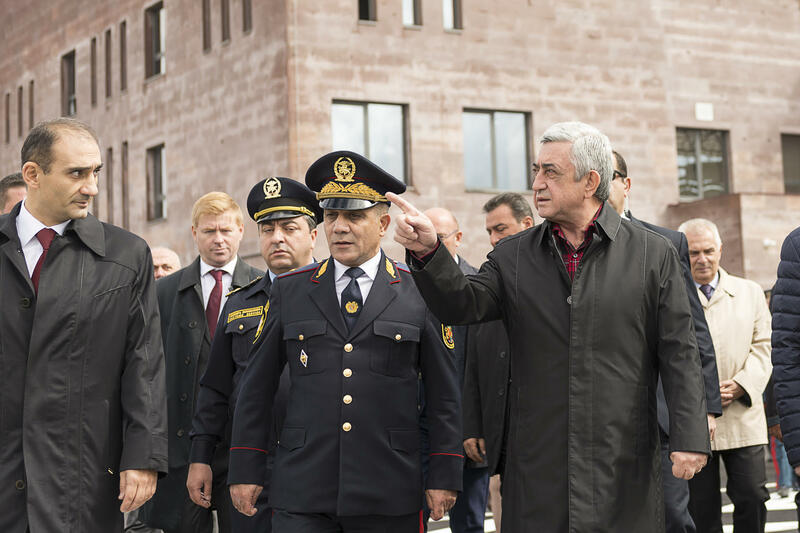 President Serzh Sargsyan traveled to Shirak Marz to take part in the official opening ceremony of the modernized Bavra border checkpoint. 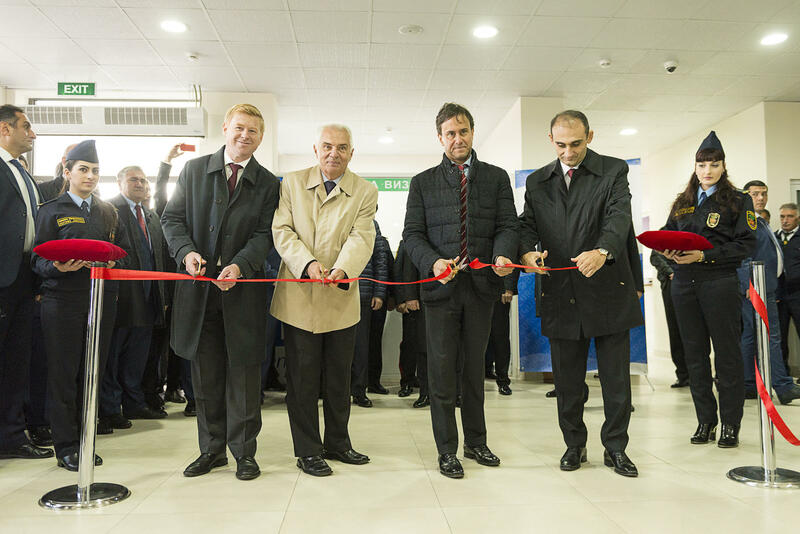 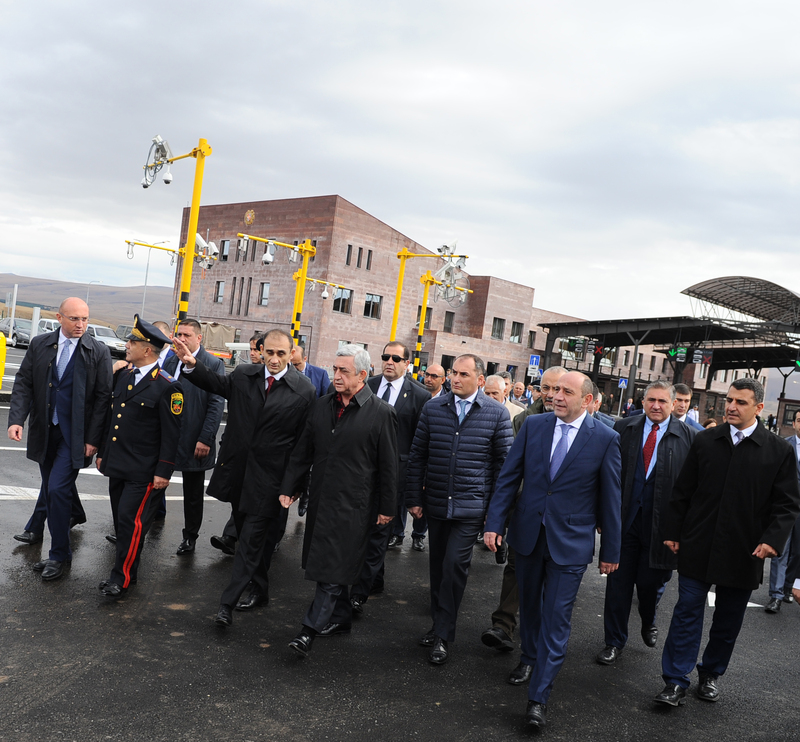 The launch of the Bavra checkpoint ushers in the start of the program of modernization of Armenia’s northern customs gateway. 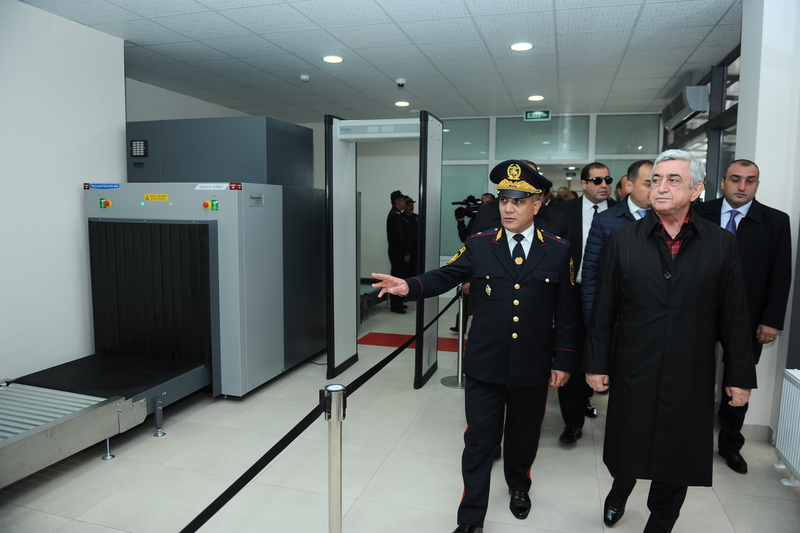 This checkpoint is the third modern building commissioned recently following the modernized checkpoints of Bagratashen and Gogavan. 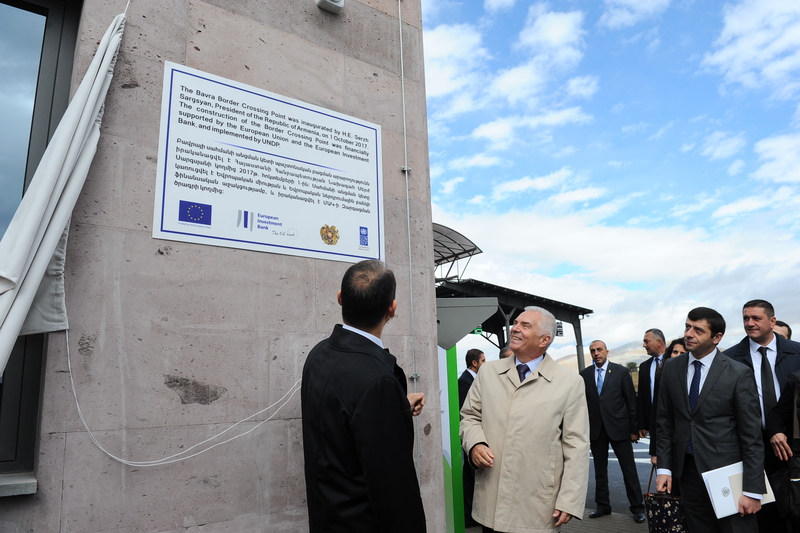 Bavra checkpoint was built with the financial support of the European Union and the European Investment Bank and implemented by the United Nations Development Program. 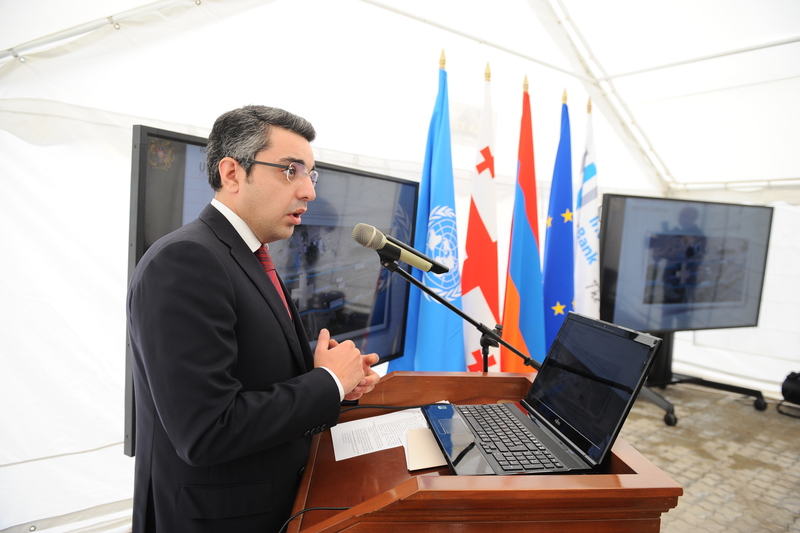 The total budget made available for the Bagratashen, Bavra and Gogavan checkpoints modernization projects amounted to 54.43 million euros. 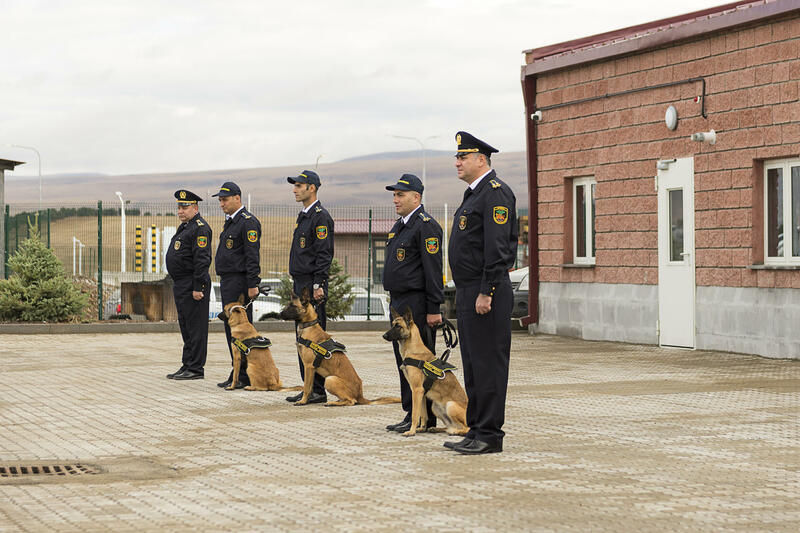 The process of modernization of State border checkpoints in the Republic of Armenia started as early as in 2010 in accordance with the presidential decree “On approving the RA Border Security and State Border Management Strategy,” followed by the relevant Action Plan. 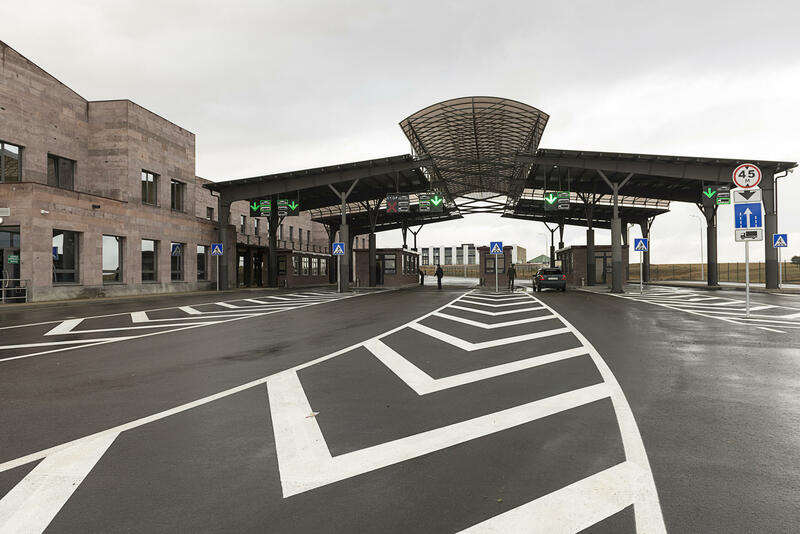 The newly built checkpoint’s construction started in 2013. 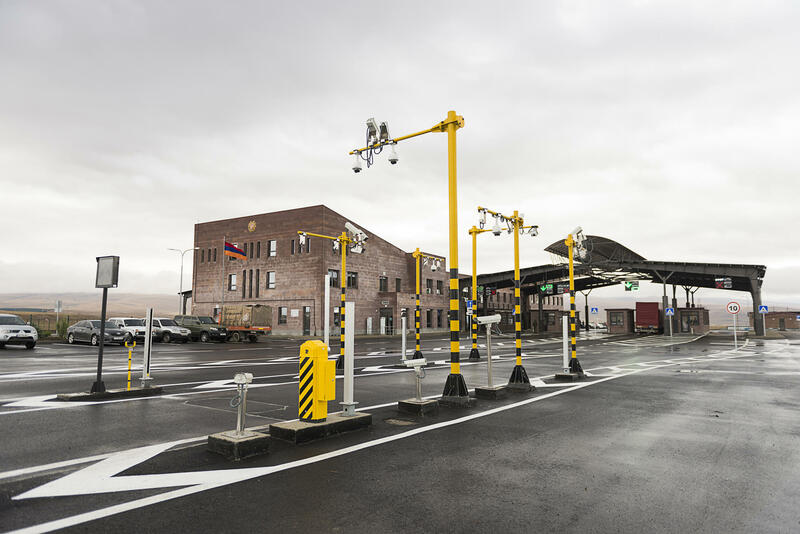 Established on an eleven hectare-wide site, the checkpoint is equipped with a helicopter platform and has all necessary infrastructures. 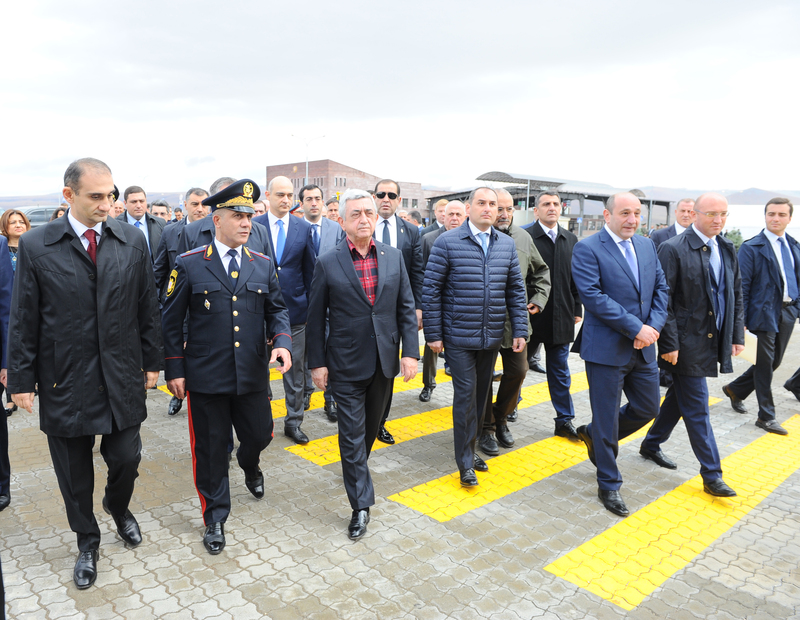 The President of Armenia toured the premises getting acquainted with the conditions and services provided at the checkpoint. 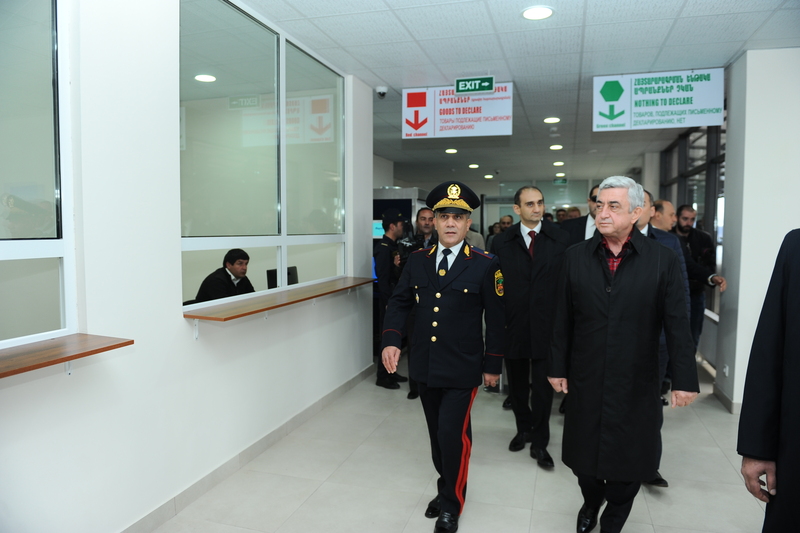 The President was told that the one-stop-shop e-system as adapted to the modern standards made it possible to concentrate on the spot the activities of all border service providers and ensure smooth exchange of information between the relevant services. 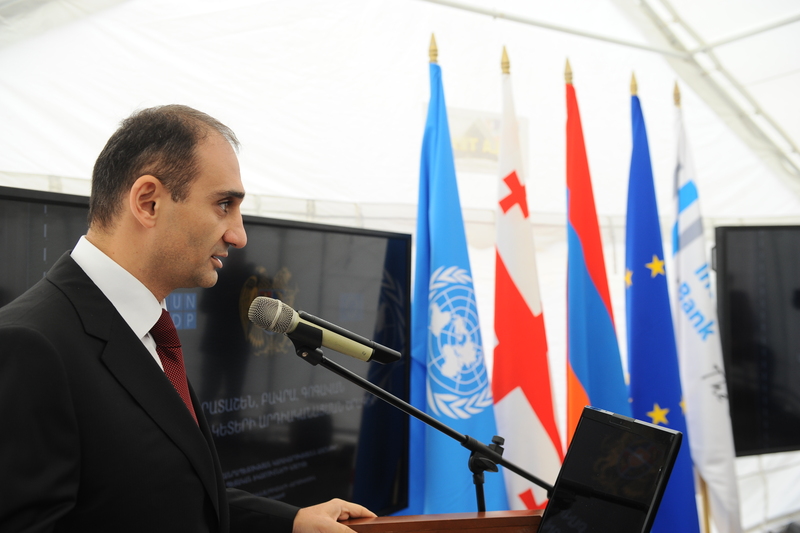 The introduction of modern infrastructure will have a positive impact on the commodity turnover and passenger turnover of Armenia with Georgia, as well as with third countries, opening up new opportunities for transit shipments to Iran and from Iran towards the European, EAEU countries and Georgia. 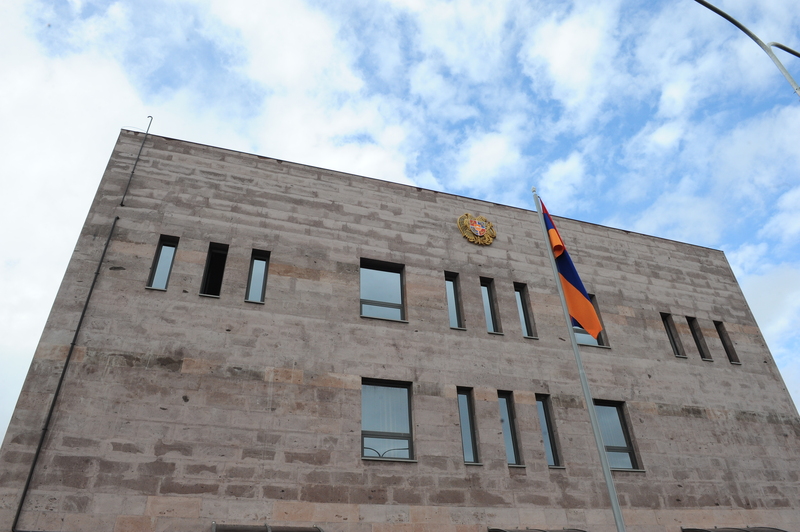 It will help increase the flow of tourists from Georgia to Armenia and vice versa and expand interstate trade. 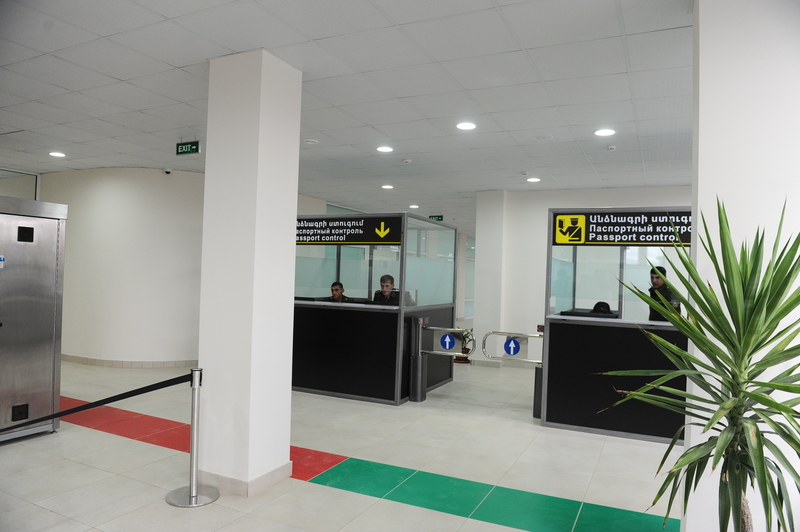 The checkpoints’ modernization will also help enhance the living standards of the local population, considering the fact that temporary jobs had been made available throughout the checkpoints’ construction and permanent jobs will be provided following their commissioning in the process of daily economic activities. 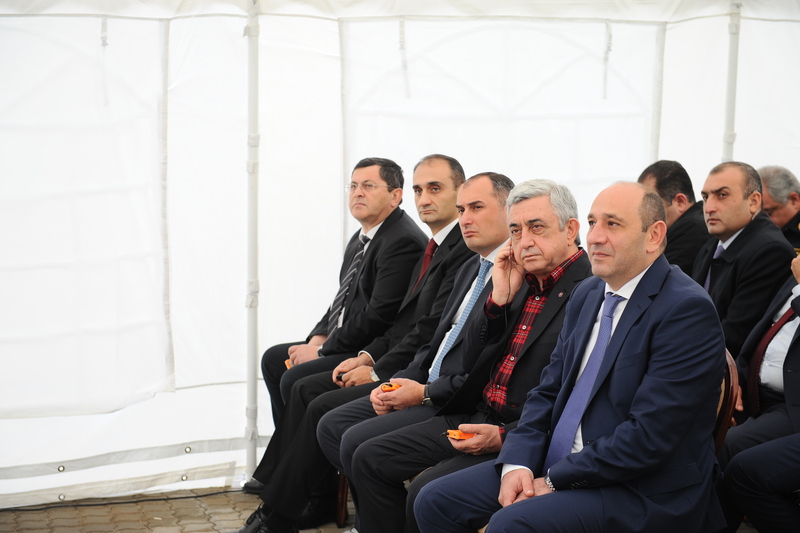 The President was told that the local population will also enjoy better conditions for communication. 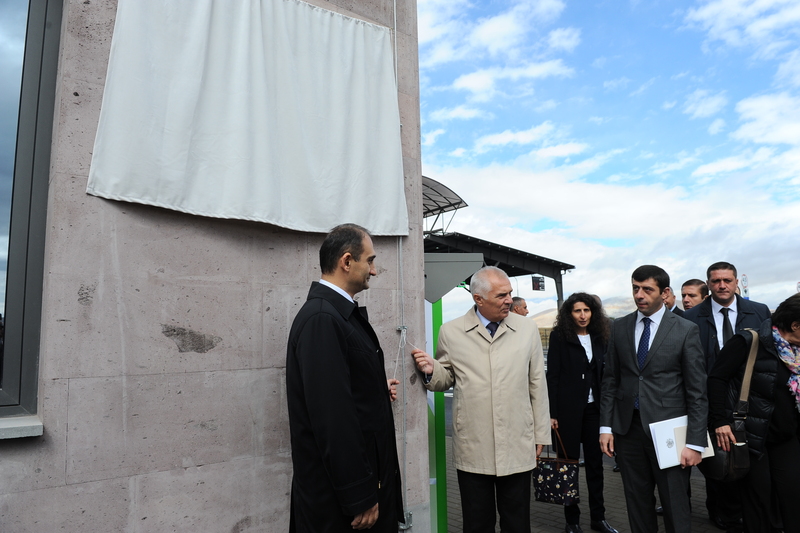 Along with the gasification of the newly constructed checkpoint, six communities of in Shirak Marz were supplied with gas. 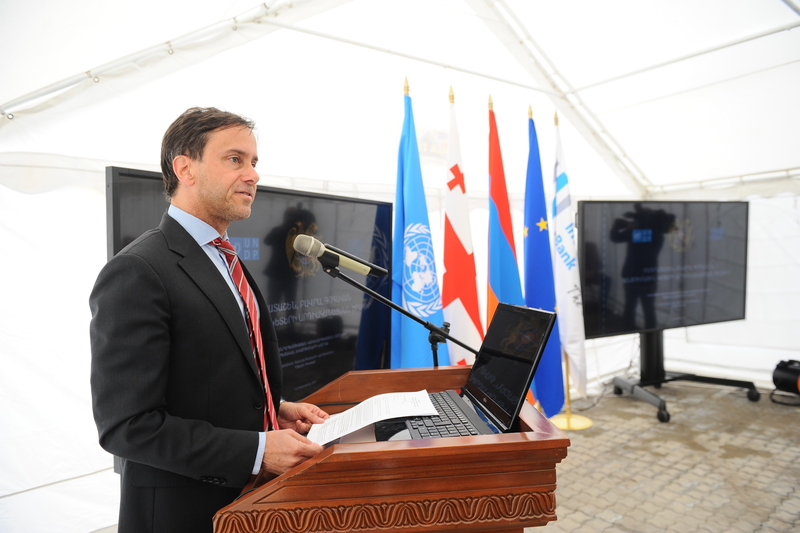 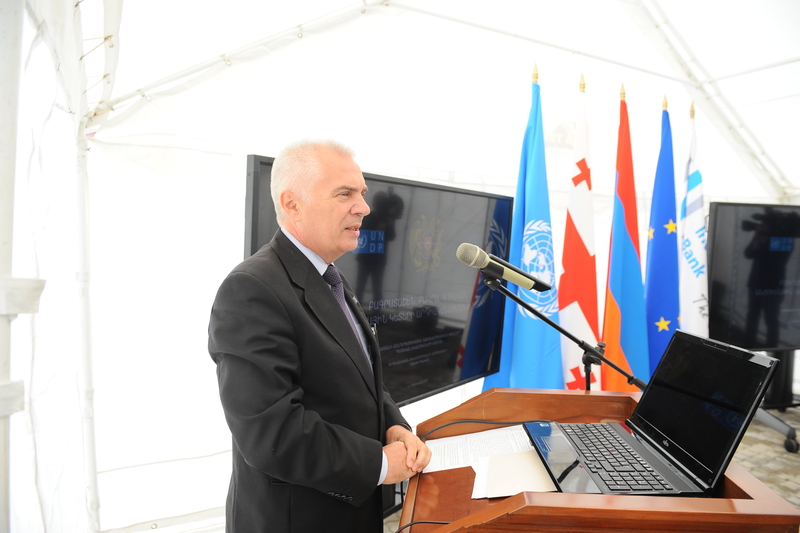 The official opening ceremony of Bavra’s new border checkpoint was attended by the representatives of State border management agencies, as well as representatives from international organizations, diplomatic corps, including the Head of EU Delegation to Armenia, Ambassador Peter Switalski, UN Resident Coordinator in Armenia, UNDP Resident Representative Bradley Busetto, Head of the European Investment Bank’s regional office in the South Caucasus Sebastien Housson de Sampini. 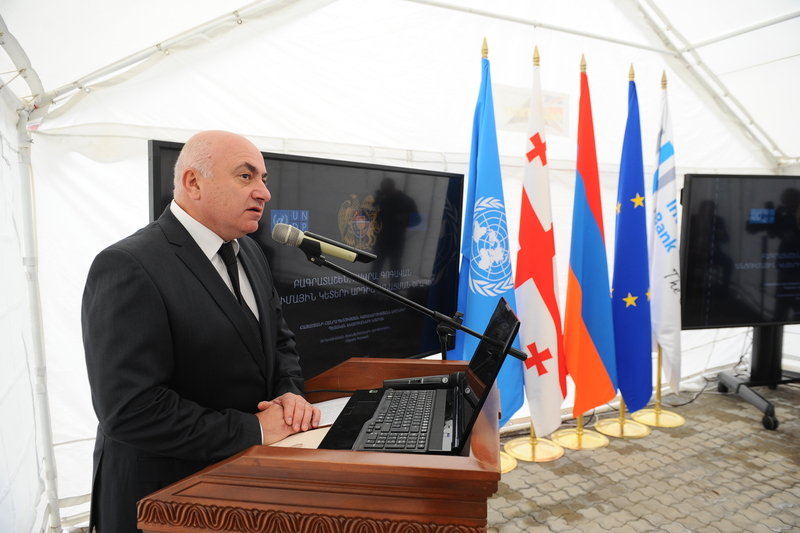 In attendance was a delegation headed by First Deputy Prime Minister, Finance Minister of Georgia Dimitri Kumsishvili.